Enjoy the surreal natural beauty of Queenstown on your flight up - and free fall down! Queenstown is heaven for adrenaline junkies and skydiving should be at the top of the list of things to do in New Zealand for adventurers. 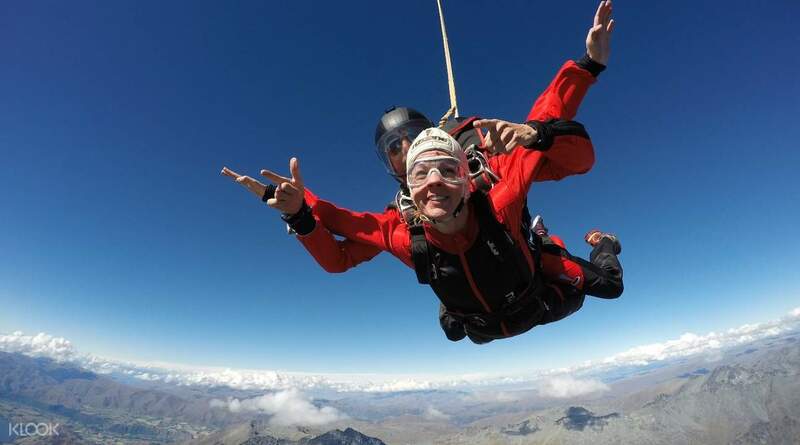 Whether you are a veteran skydiver or its your first time, Queenstown is one of the best spots in the world to fling yourself out into the world below you, overlooking beautiful views that extend to The Remarkables and the turquoise waters of Lake Wakatipu! Depending on how fearless you are you can free fall between 25 to 60 seconds at up to 200km/h! Hold on tight as your experienced tandem skydiving guide will ensure your safety and share this unforgettable moment with you. You'll definitely want to capture the experience, so be sure to order your Skydive video and photos which can be sent to you afterwards. Embraced the fear and it was really great experience! The meet up point is easy to find, it is located in the town center, nice staff and very smooth whole experience! Professional instructor, nothing worry about! Must try!! Embraced the fear and it was really great experience! The meet up point is easy to find, it is located in the town center, nice staff and very smooth whole experience! Professional instructor, nothing worry about! Must try!! 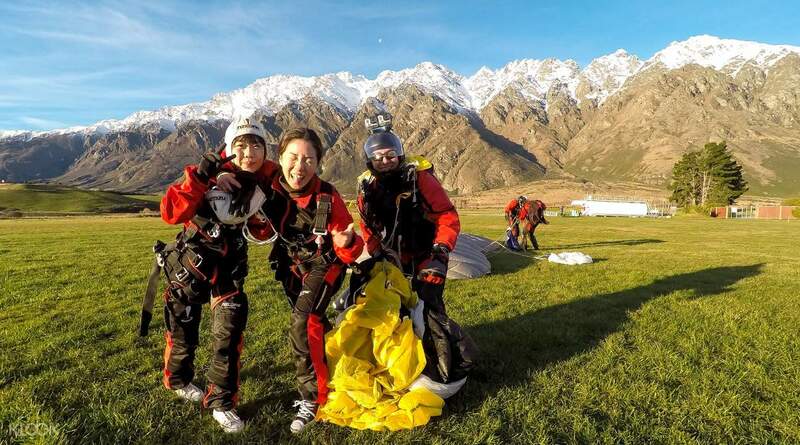 Fun and exhilarating activity to do in NZ.A must do activity to enjoy the beautiful scenery of NZ in a 9,000 feet above..I don’t feel nervous at all caused the instructor was very friendly. 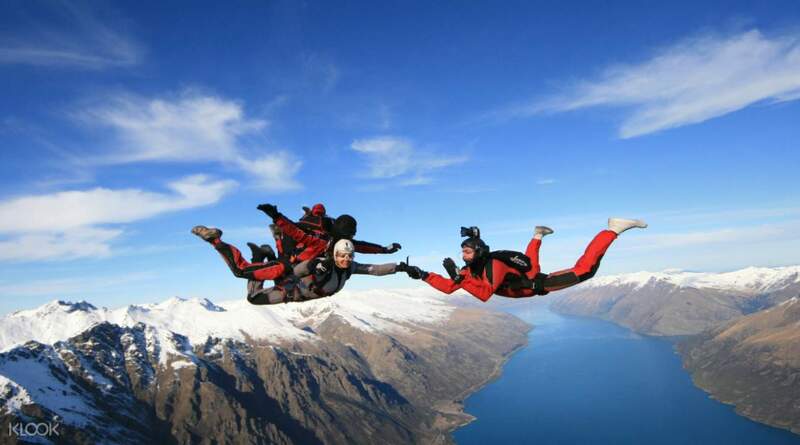 Fun and exhilarating activity to do in NZ.A must do activity to enjoy the beautiful scenery of NZ in a 9,000 feet above..I don’t feel nervous at all caused the instructor was very friendly. Awesome awesome awesome!!! 15k FT jump and although a bit pricey, it was worth it if you’re thinking about it. ;) the view is spectacular and it is better than the Palm jump in Dubai! Perfect weather, super cool tandem Master in Markus (US) it was epic! Highly recommend it! Awesome awesome awesome!!! 15k FT jump and although a bit pricey, it was worth it if you’re thinking about it. ;) the view is spectacular and it is better than the Palm jump in Dubai! Perfect weather, super cool tandem Master in Markus (US) it was epic! Highly recommend it! Due to bad weather, we have to reschedule our skydive day but the cs help us a lot and give us many useful comments. The coaches are sooo nice and patience. They will make sure your safety and give u confidence. The free fall is absolutely amazing and definitely should go for the 15,000ft. Due to bad weather, we have to reschedule our skydive day but the cs help us a lot and give us many useful comments. The coaches are sooo nice and patience. They will make sure your safety and give u confidence. The free fall is absolutely amazing and definitely should go for the 15,000ft. I love it so much. Skydiving was on my wishlist for so long and I'm happy that I've finally made it! I manage to overcome my height phobia! Seriously it is not like you are falling but more like floating in the air.. so no worries! Just book! And booking via Klook + Pormo code is the cheapest options I found 😉 YASS 5star KLOOK! I love it so much. Skydiving was on my wishlist for so long and I'm happy that I've finally made it! I manage to overcome my height phobia! Seriously it is not like you are falling but more like floating in the air.. so no worries! Just book! And booking via Klook + Pormo code is the cheapest options I found 😉 YASS 5star KLOOK! best place to skydive! from check-in at the NZone shop to the drop zone, the crew are friendly and professional! my tandem instructor was really nice in making me feel secure and safe all throughout. awesome experience! 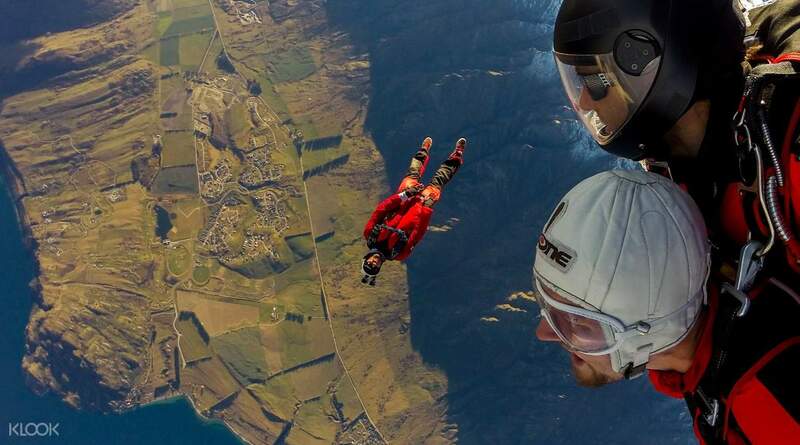 best place to skydive! from check-in at the NZone shop to the drop zone, the crew are friendly and professional! my tandem instructor was really nice in making me feel secure and safe all throughout. awesome experience! Initial session was postponed due to bad weather and we got really lucky to skydive on a clear day! The tandem master was very friendly and definitely helps to ease the nervousness in me. An amazing and unforgettable experience! Go for 15k! 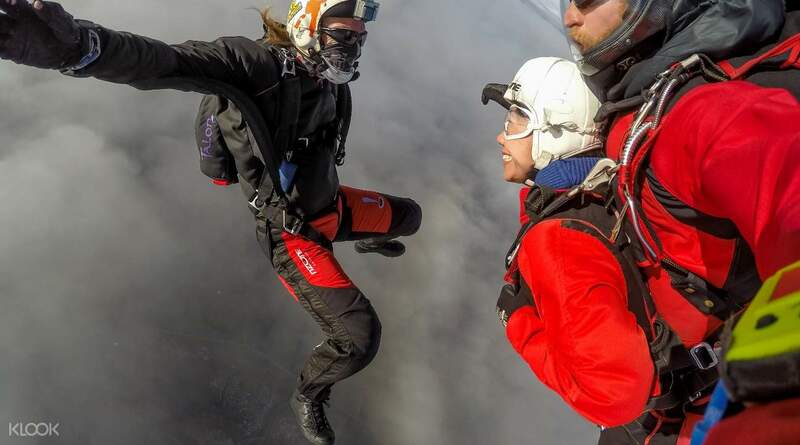 Initial session was postponed due to bad weather and we got really lucky to skydive on a clear day! The tandem master was very friendly and definitely helps to ease the nervousness in me. An amazing and unforgettable experience! Go for 15k! Amazing experience! Instructors were friendly and they make sure that everything is good to go before jumping off the plane. It is an experience of a lifetime and no regrets going for it! Amazing experience! Instructors were friendly and they make sure that everything is good to go before jumping off the plane. It is an experience of a lifetime and no regrets going for it! This experience was the best in one of my lifetime. The staff was nice and helpful. The experience beyond expectations and I would like to recommend everyone who come to Queenstown to try this once. They will never regret it. Only one thing they need to jmorove is time management. Every session tends to be delay around 30 to 40 mins so plan well folks! This experience was the best in one of my lifetime. The staff was nice and helpful. The experience beyond expectations and I would like to recommend everyone who come to Queenstown to try this once. They will never regret it. Only one thing they need to jmorove is time management. Every session tends to be delay around 30 to 40 mins so plan well folks!